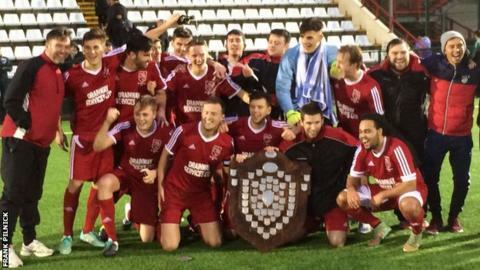 St Brelade have retained the Trinity Shield after beating St Lawrence 2-1. Charlie Johnson gave St Brelade a ninth-minute lead before Max Thompson doubled the advantage with a 20-yard chip over the St Lawrence goalkeeper after 63 minutes of the final. Kyle Rea pulled one back for St Lawrence, who last won the title in 2013, with 17 minutes to go. But the reigning champions held on to win the Channel Islands' oldest football tournament for the 18th time. The tournament allows Jersey-born players to represent the parish they were either born in or currently live in.